In the face of overwhelming response from its membership and requests to host USEF Town Hall Meetings in many cities around the U.S., Federation staff and leadership opted to host a Town Hall Meeting to be broadcast LIVE on USEFNetwork.com on Monday, June 3 at 6:00 p.m. Eastern Time. This interactive broadcast replaces the previously scheduled meetings in an attempt to provide greater access to more people across all breeds and disciplines nationwide. “This innovative use of technology presents a unique opportunity to share opinions and experiences from every corner of the Federation,” remarks USEF President Chrystine Tauber. 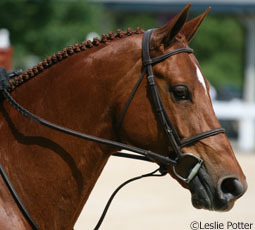 The webcast can be viewed at USEFNetwork.com. The Fifth Third Theater at the Kentucky Horse Park in Lexington Kentucky has been selected as the host venue for this live webcast which is open to all USEF equestrians. Participation from every breed and discipline is strongly encouraged. The panel of experts assembled includes: USEF President, Chrystine Tauber; USEF Vice President of National Affiliates, Bill Moroney; Chair of the USEF Drugs & Medication Committee, Kent Allen; U.S. Eventing Team Coach, David O’Connor; USEF Chief Executive Officer, John Long; USEF General Counsel, Sonja Keating; and Chief Administrator of the USEF D&M Program, Stephen Schumacher. The panel will speak to the agenda topics listed below and will take questions and suggestions throughout the webcast from a live audience as well as from equestrians tuned into the webcast. To attend this event either in-person or via the live streaming broadcast, please register here. Since its inception in 1917, The USEF has been dedicated to pursuing excellence and promoting growth in equestrian sport, all while providing and maintaining a safe and level playing field for both equine and human athletes. Modern equestrian competition occurs in a dynamic environment where advancements in nutritional science, equipment innovation, and sports medicine contribute to higher and more intense competition. 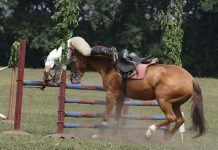 In recent years, horse sports have experienced increased public scrutiny to both therapeutic techniques and medication practiced in racing. More recently, this focus has raised a number of questions about treatment of horses in the show arena. The Federation’s Drugs & Medications Program is underpinned by a belief that restorative therapies are appropriate for horses in competition and this philosophy will continue to guide to the program. A review of the issues contributing to the changing landscape of the equestrian competitive environment points to specific areas where the USEF has an opportunity to evaluate and improve the conditions of USEF Licensed Competitions. 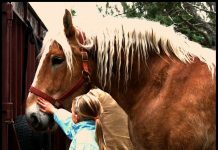 A Catastrophic Incident Protocol that will eventually encompass a range of, subjects from bio-security preparation to horse collapse, will be discussed. A “collapse rule” has already been introduced to the USEF Executive Committee and will likely be acted upon early this summer. The balance of this protocol will be developed with input from the USEF constituency over the balance of the year. A new section of the rule book will be introduced dealing with “Prohibited Practices.” As part of this discussion, another rule will be explained which would prohibit injections to horses twelve hours prior to the time a horse is scheduled to compete. This rule has also been circulated to the USEF Executive Committee and will likely be acted upon this summer. Like the Catastrophic Incident Protocol, the balance of the prohibited practices would be discussed, then implemented over the next year or two. Panelists will speak to the regulatory and educational initiatives underway to further advance the Federation’s mission to promote safety and welfare of both equine and human athletes in equestrian sport.